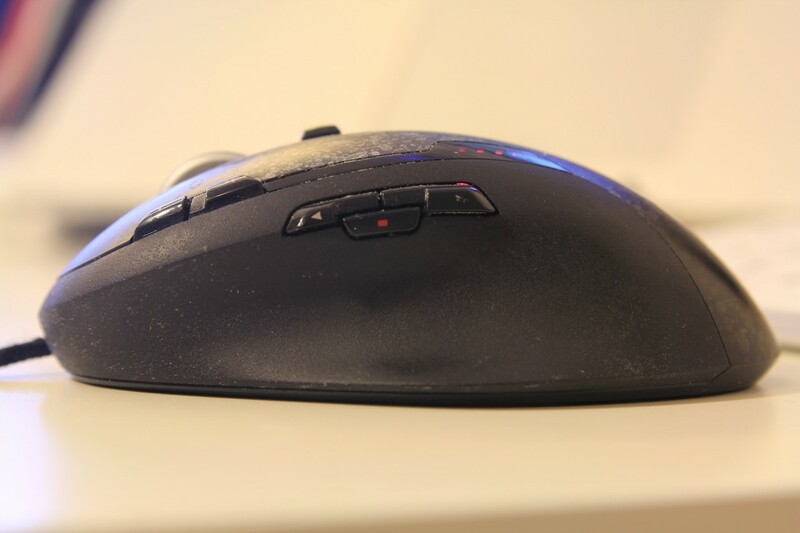 In 2009 the Logitech G500 went on the market. The mouse is clearly oriented to video-games ! The review on the french LesNumériques website convience me to go for it so I get it in 2010 for 44,5 €. Three years later, the G500 is still in action in every kind of situation. 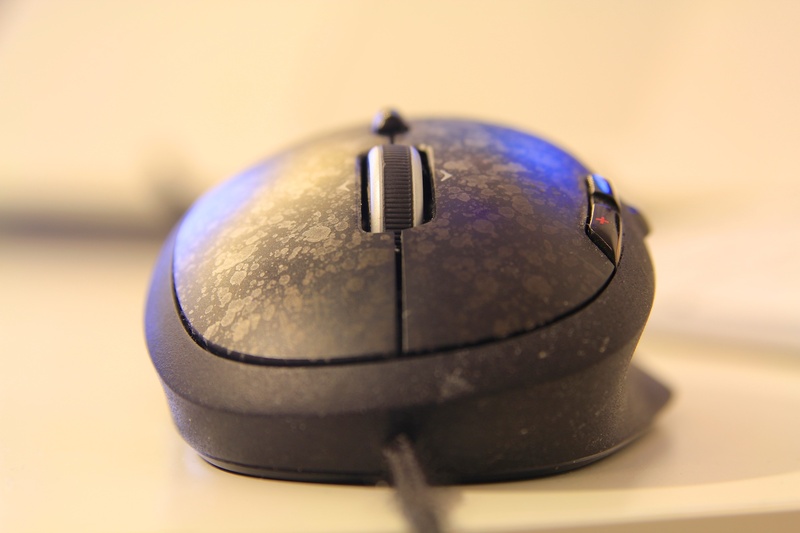 Videogames mouse means fast and precise devise, two qualities obtained thanks to its laser sensor. It also comes with multiple buttons additional to the classic left, right click and middle scrolling wheel. One could think that an overloaded mouse is useless for such a simple activity like office work (or any kind of activity different than video games). Actually a good mouse made for gaming is much more comfortable and efficient than a classic mouse. The G500 is extremely precise. Do you sometimes mistakenly click on the window closing button instead of the minimize one? With the G500 you won’t have this problem. Under image editing or presentation software like Photoshop and PowerPoint, the gain of time is huge by drastically reducing the numbers of manipulation errors. Its quality laser sensor allows the G500 to be used on a lot of surfaces types. Even on jeans or a sweater the precision is still there, say goodbye to the erratics mouse cursor jumps! The grip is really good. You can use it for hours long without any discomfort. 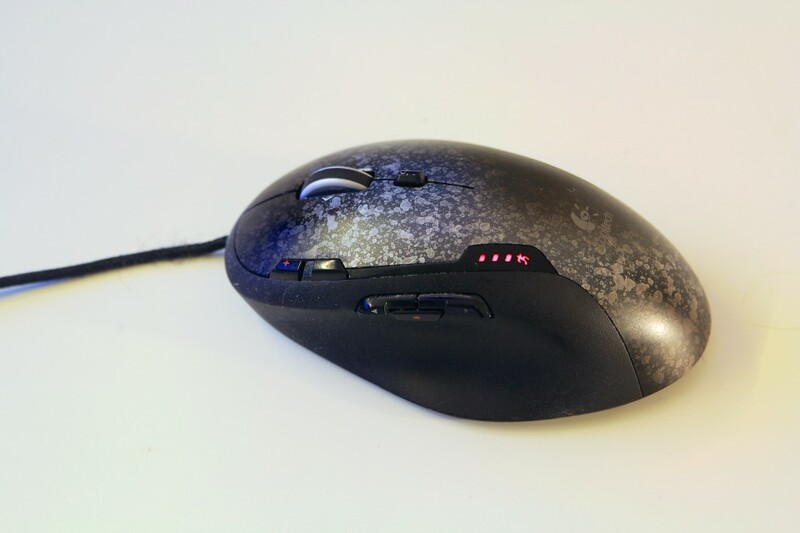 It is possible to modify its weight, good point for who likes its mouse light and quick or heavy and stable. The three very well placed buttons under the thumb, once programmed, makes it even better. On Windows you can associate them to the back function and forward functions in a web browser. On Mac associating exposé and mission control makes it all much comfortable to use. For the scroll wheel you have the choice between serrated and free roll. For very long PDFs the free mode allows you to scroll through hundreds of pages with a single launch which is really cool to have an overview of the document. Usually the gaming mousses are much flashy (like the Razer) than ordinary one which is ok when you actually are a gamer. But for at work at the office you would prefer to have a much classier design it is exactly what the G500 offers, class and performances. What I regret on the G500 shows up after some month of use. 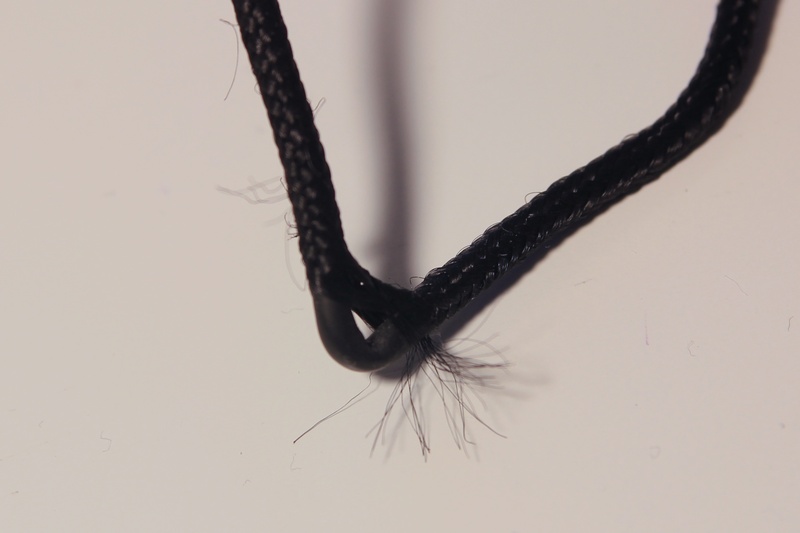 The cable that look excellent at first sight gets all messed up after some time. It gets even a little stiffer and bends quite permanently. This is probably because I transport the mouse knowing it is not designed for transportation. Even with this little issue I’m using it since 3 years and I have no plan to change it.